In 2012 I bought a cheap Medion digital camera which I reviewed at that time. It was really a good digital camera for that price but I don´t use the camera anymore since I prefer my smartphone camera at the moment. The main reason is that I have my smartphone all the time with me and that is an advantage. 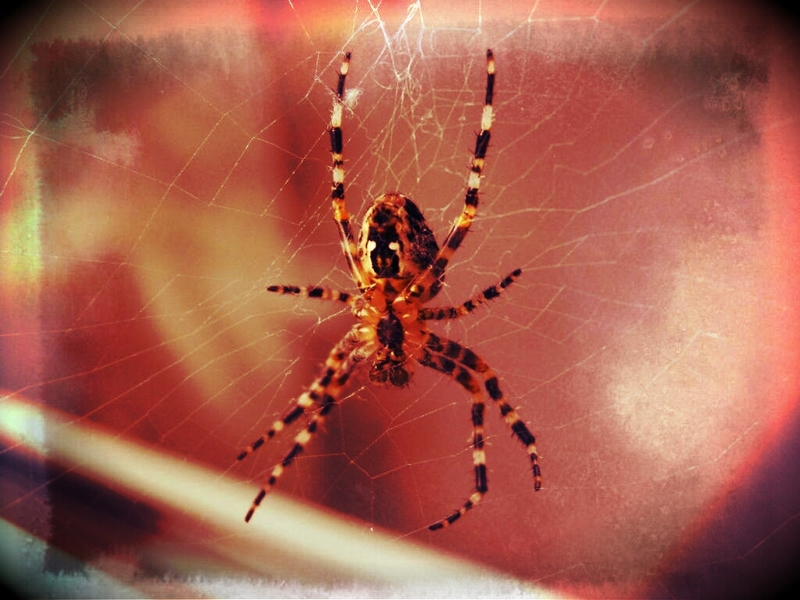 But you can find a spider photo in my older camera review and now I took this spider image to apply some effects with the android app called Pixlr-o-matic. I really like how the mood of an image can change if you apply effects. I thought the result would be worth to share. It´s by the way a typical cross spider which you can find here in Germany very often. It’s freaky cool compare to the original. I wish you can write a tutorial once. I want to learn it from you. Thank you. Have you downloaded and tried the android app Pixlr-o-matic yet? You can get the app for free in the Google Play Store. I ask because the app is fairly easy to use. Especially compared to real design tools like Photoshop. Alternatively there is also another free app from the same developer and the app is called “Pixlr Express” and this app is the simplified edition of Pixlr-o-matic but you can get same results usually with a few hand grips. I can suggest that app too. The last one is as easy to use like Instagram. But Pixlr-o-matic is not much more harder to use than Pixlr Express. Usually a tutorial shouldn´t be needed. But if there is still interest in a tutorial or review of the app, I might prepare it if I find time.